C-Fold Hand Towels 1ply blue 2520 towels per case. C-Fold Luxury Hand Towels soft 2ply white - 2400 towels per case.These excellent quality paper towels can be used with or without a dispenser. 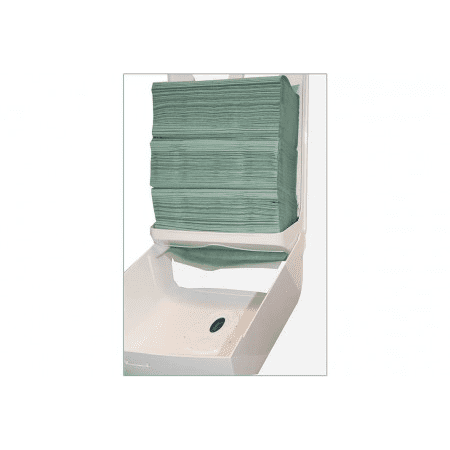 Interfold Hand Towels are fantastic in busy environments due to the size and the fold itself making it easier for the customer, as you pull out a paper towel another follows ready for the next person. Quality hand towel. FROM £12.00 per case. Interfold Hand Towels 1ply Blue 4000 Towels per case. This Modular White Plastic hand towel dispenser accepts both interleaved and C-fold hand towels up to 255mm in width. The hard-wearing ABS cover automatically locks shut when closed, and each dispenser is supplied with a key. Furthermore, the manufacture has re-designed the most hard-working part of the dispenser, the towel outlet slot and to stand up to constant use, the results are that this dispenser is both strong and versatile. 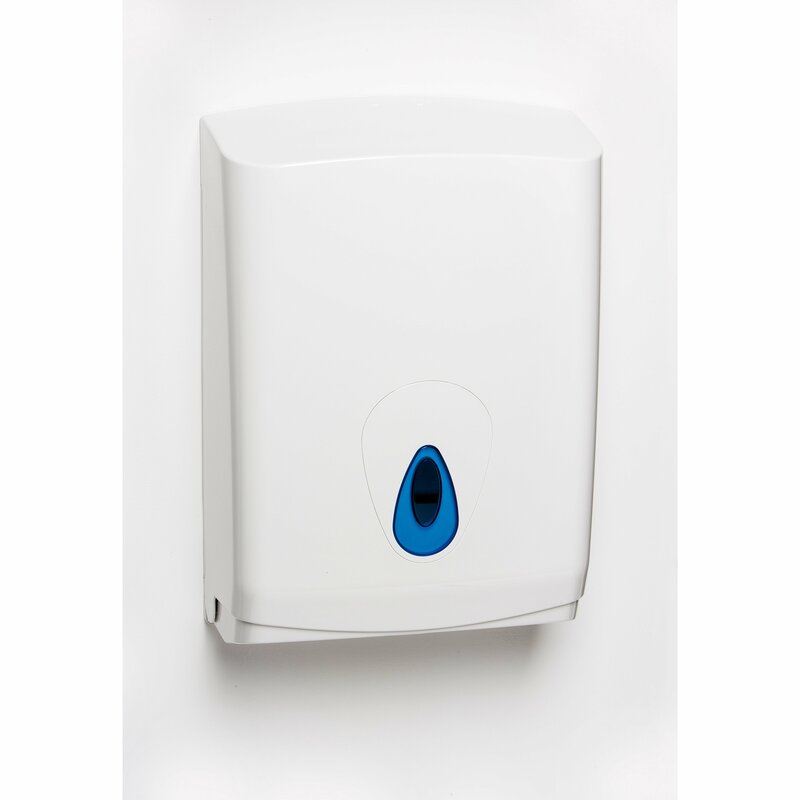 This makes it the ideal dispenser for use in high traffic washroom or kitchen areas. The easy view window provides quick check levels for better stock management. Q. Is this dispenser suitable for any c-fold hand towel? A. Yes, any c-fold hand towel up to 255mm in width.